Where would we be without shoes? — most probably hobbling around in our bare feet while taking regular breaks to attend to painful blisters. But thankfully, some smart cookie way back in the mists of time had the spark of genius to cover their tootsies with animal skins and step closer to civilization. 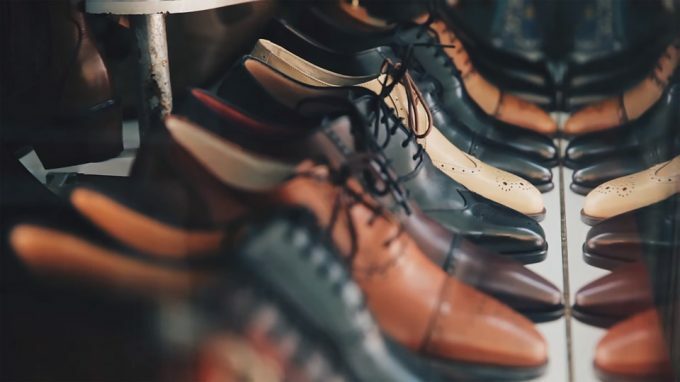 If you want to find out how long humans have been sensibly shod, dip your toes into our 10 facts about the history of shoes. According to boffin bible Science Daily, the world’s oldest leather shoes were discovered in Armenia and date back 5,500 years — they’re 400 years older than Stonehenge, 1000 years older than Egypt’s Great Pyramid at Giza and slightly similar in design to classic desert boots. Flip flops are another age-old invention. They’re believed to have been invented by the Ancient Egyptians and the oldest known pair dates from 1500 BC, is made from papyrus and displayed at the British Museum. If Jesus was alive in physical form today, there’s every chance he would rock Crocs and socks. But if you want to see the comfy fabric slippers he apparently wore during his lifetime, they’re hanging in a display case in Germany’s Prum Abbey. Some Romans did wear the trademark sandals they’re famous for. But by the 1st Century AD, Centurions and lower ranked soldiers were wearing Caligae — closed-toe leather boots with hobnailed soles. When the first European explorers arrived in South America around 500 years ago, they were bamboozled by Aztec rubber balls, rubber bands and rubber-soled shoes made from tree sap and morning glory juice. You may believe high heels are a reasonably modern innovation which date from the early 20th Century. But if Aussie news network ABC is to be believed, Catherine de Medici was the first woman to wear a pair, when she wanted to boost her height for her 16th Century wedding. The first running spikes were invented in the late 1890s by a forward-thinking cobbler in England, Joseph William Foster. The company Joseph founded is now known as Reebok. The most iconic bowling shoes are the two tone versions which stem from the US 10-pin version of the sport and are believed to have been imported to America in the late 19th Century. The Adidas Kegler trainer is a modern version developed for Kegeln — a German nine-pin bowling game. The Nike Air Max 1 is an 80s classic which somehow still looks as fresh as the day it was released. The design was inspired by the modernist architecture of the Centre Pompidou in Paris. Doctor Martens boots still sell out on footwear sites like Shoes International, but the patented Airware sole was first developed in 1945 by German soldier Dr Klaus Maertens, attached to boots by the Griggs company in 1960’s England and has been adopted by a host of subcultures since. That’s our list! Share your own footwear history facts in the comments section.